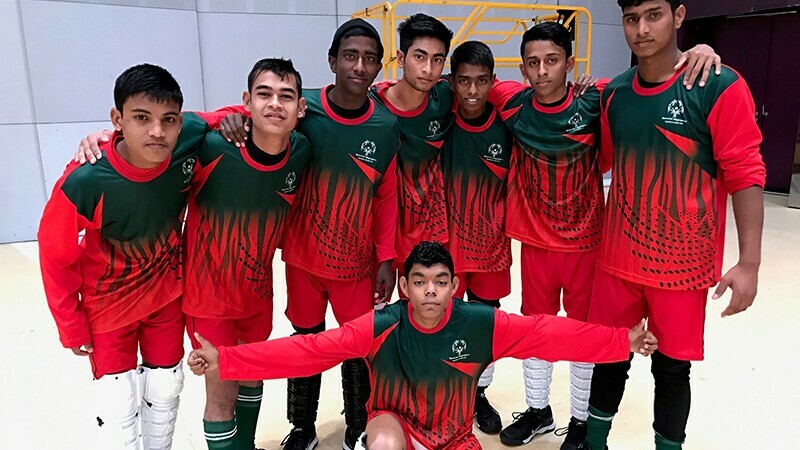 At 15, Mohammad Junaet Islam is the youngest member of the Bangladesh men’s floor hockey team. When coaches first met him more than two years ago, he was severely hunched, with a curved spine condition that caused posture imbalance, and a condition that caused his eyelids to droop. He struggled to walk straight or even run and couldn’t see beyond several meters in front of him. Through Healthy Athletes, they corrected his posture through regular therapy. His eye condition also improved. He joined bocce and badminton but has never taken part in any competitions. This is his first time at the World Games, and it has been an unforgettable experience. Junaet is going home with a silver medal in floor hockey. His coach and mentor Hossain Mobarak says Junaet's greatest strength is his hunger to succeed. "He is willing to learn and try any game. He has tried football, cricket and now floor hockey. It has been challenging for him to learn but he has never given up."